Google Calendar can be a great tool to help manage meetings and personal events, however, sometimes it's helpful to know what else is happening on campus before scheduling a meeting or personal event. Adding one or more College calendars to your personal Google Calendar can keep you up-to-date with what's happening on campus. The above are not URLs you can go to, but URLs that will get copied to your calendar. 2. 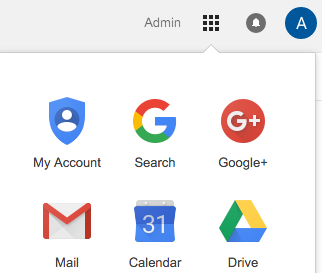 Access your Google Calendar by clicking the Google Apps menu at the top-right of your browser window from any Google App (such as Gmail) and clicking the "Calendar" icon. 3. In the left pane of Google Calendar, scroll down to the "Other Calendars" section and click the drop-down icon. Click "Add by URL" from the drop-down menu. 3. Paste the URL of the calendar in the box and click "Add Calendar" when completed. Please see our TD Knowledge Base Article: Adding College Calendars to your Google Calendar for more calendars and information.